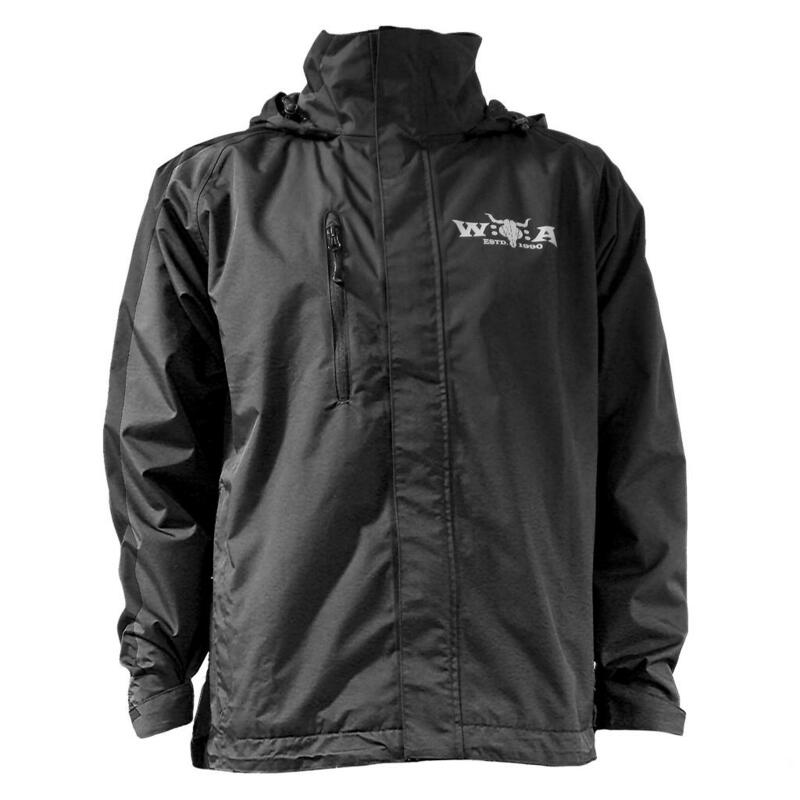 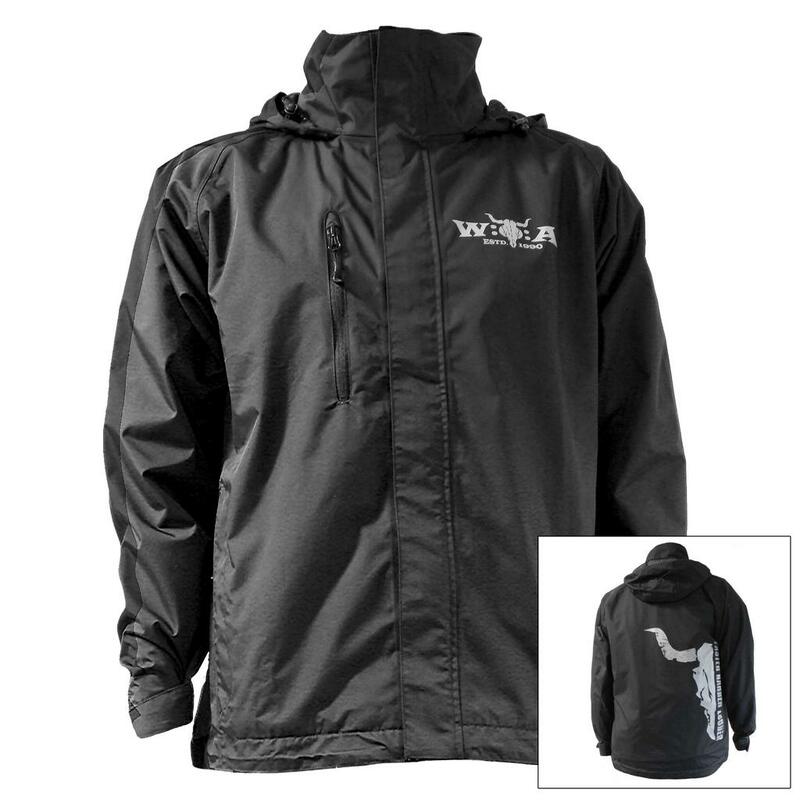 With this W:O:A rainjacket made of 100% nylon with an inner lining made of 100% polyester you can go outside even in pouring rain. 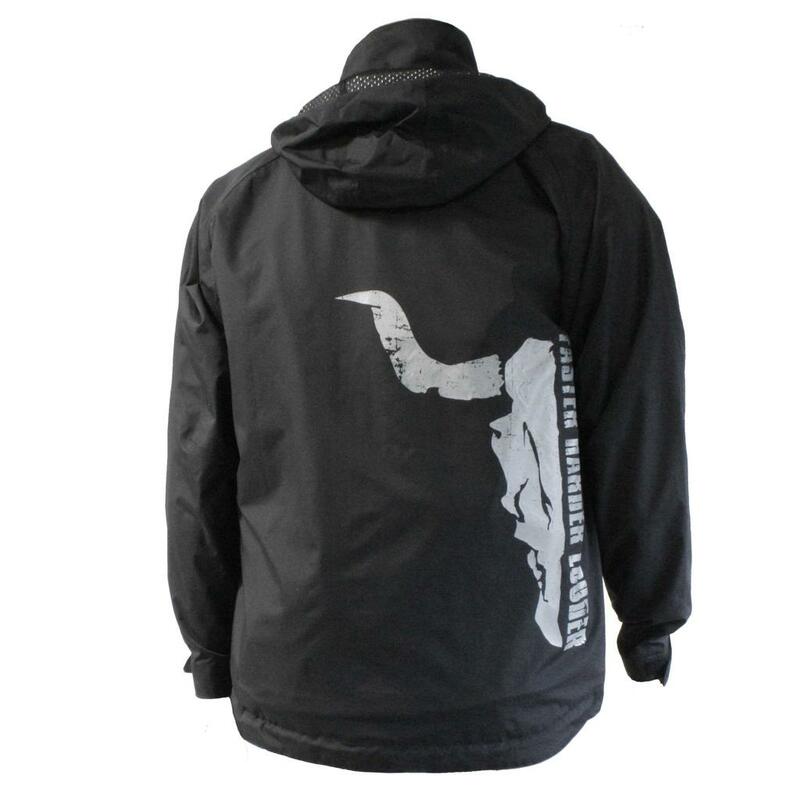 The jackets front is printed with the official W:O:A logo, at the back side you can see the famous bullhead together with the slogan "FASTER, HARDER, LOUDER". 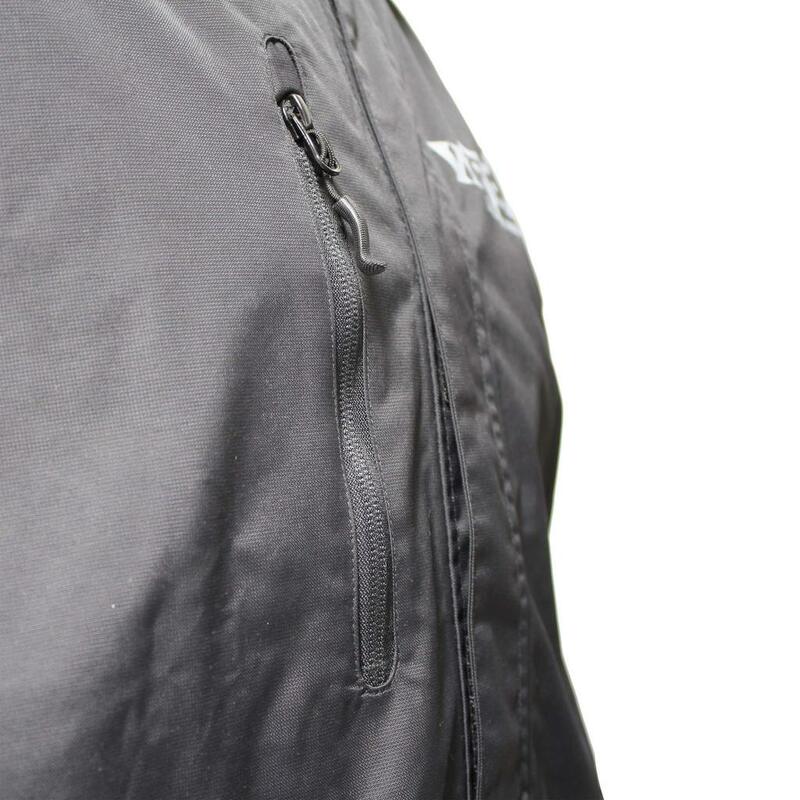 The hood can be folded together and therefore it can easily be hidden inside the collar, and as an additional detail the jacket has a front pocket, which is sealable with a zipper.